The Samsung Unpacked Event has kicked off in a weird way; it is like a production theatre show rather than a presentation of a new smartphone. 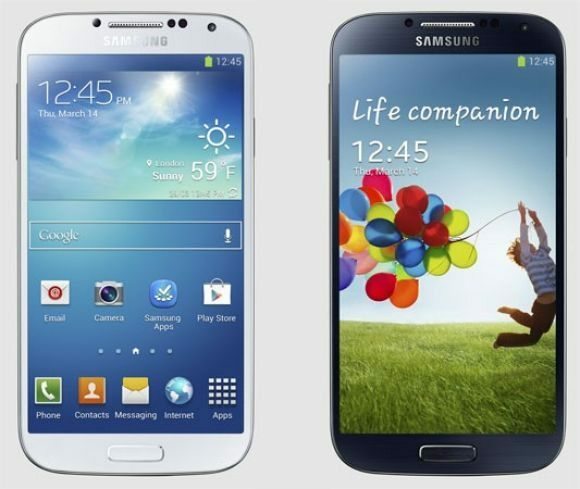 However, the Samsung Galaxy S4 is now official and the specs are mind blowing. We will give you the specs we know so far in brief but we will be bringing you much more as the night goes on. The Samsung Galaxy S4 features a stunning 5-inch 1080p (1,920 x 1,080) Super AMOLED panel with pixel density of 441ppi that combines a brilliant PenTile matrix screen that will work with gloves, and we mean any gloves not just the smartphone able gloves. We will bring you separate articles on the specs but for now here are the quick specs to get you started, the SGS4 will feature 2GB RAM and will come with two different processors depending on what region you are in. One will boast a 1.6GHz Exynos Octa-core chip and another with 1.9GHz quad-core Qualcomm, it also comes running Android 4.2.2, the smartphone itself is much smaller, thinner and lighter that the Samsung Galaxy S3 at only 136.6 x 69.8 x 7.9mm with a total weight of only 130 grams, it will come with a powerful removable 2,600mAh battery as well. Other features include WiFi 802.11ac support, a/b/g/n, NFC, Bluetooth 4.0, Samsung’s WatchON service, IR blaster and infrared for using as a remote control. The cameras are amazing and we will go into detail about these a little later, in the meantime the Galaxy S4 features a 13MP on the rear and a 2MP on the front and has dual-video capture mode, the 13MP camera comes with autofocus and f/2.2 aperture and the Samsung promises that neither camera features any shutter lag. We love this phone and cannot wait to get our hands on one, Dual Video Call mode, Drama Shot utilizes burst mode to create animated GIFs, Sound & Shot can record up to nine seconds of audio to accompany a still photo, record video on both cameras simultaneously and so much more. How about the Air View that uses your finger instead of the S Pen? Sounds great doesn’t it, if your eyes are drifting for the phone whilst watching a video the ‘Smart Pause’ feature will stop the video, there is also ‘Smart Scroll’ that allows the user to move the screen up or down when you tilt the phone and look at the screen at the same time. There is also Group Play that can share music in surround-sound mode or the ability to play games with other SGS4 users in close proximity. The Samsung Galaxy S4 will release in April with AT&T, T-Mobile, Sprint, Verizon Wireless, Cricket and US Cellular, in Europe it will go on sale with the likes of Telefonica, Vodafone, EE, H3G, Deutsche Telecom, Telenor, Telia Sonera and Orange, no price details have been release as of yet.